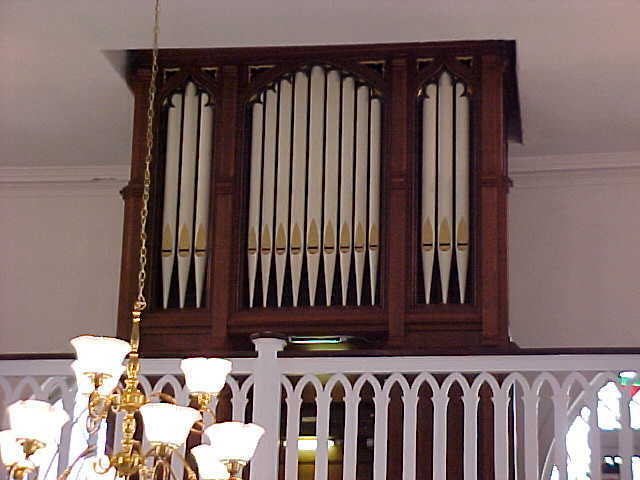 The total restoration time in 1999 for this instrument was 6 months. 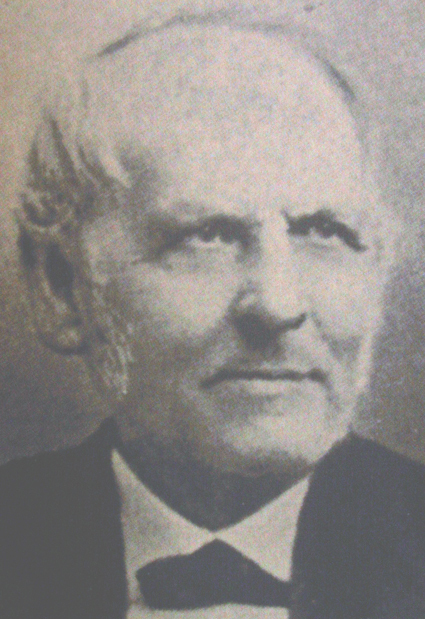 The original finish had been destroyed, and an authentic new finish was in order. Research was performed to verify everything from the date of construction to the most authentic wind pressure. All broken or missing parts were hand made in our shop. 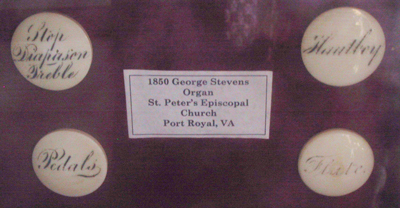 Stevens built 800 organs over his lifetime but the St. Peter’s 1850 organ is the only one in Virginia. It is a pine case gothic model of 1 manual with 59 keys. 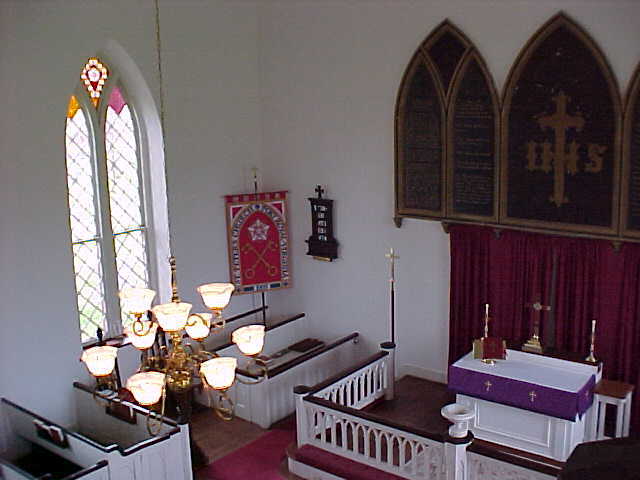 The console is recessed with sliding doors and finished with rosewood around keyboard. 13 narrow pedal keys operate manual pipes by a coupler, and there are "two combination pedals which move the stop-knobs of the four Diapason ranks." 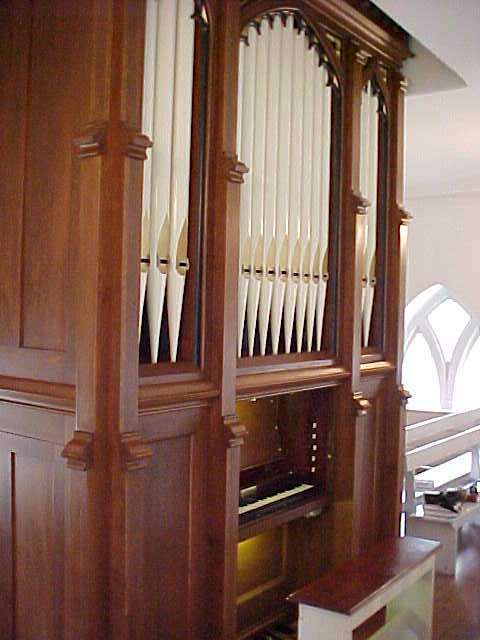 Another pedal operates the swell shades in front of all the pipes; the gilded wood-case pipes at the front of the case are dummies.